Chronic pain affects huge numbers of people - the WHO estimates that 37-41% of people across developed and developing countries suffer, and the figure rises in countries like the UK where the population is ageing. From arthritis to migraine, back pain to diabetes, chronic pain is a huge problem for individuals, their families and carers, health providers and employers. 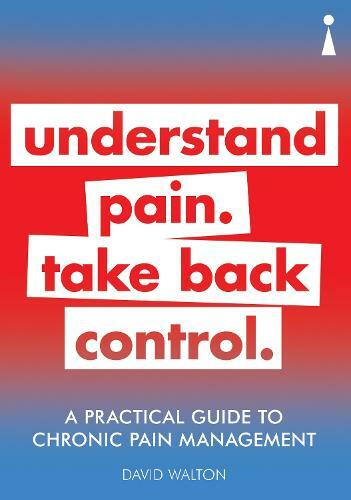 David Walton, a clinical and cognitive psychologist who experiences chronic pain himself, guides readers through an understanding of the nature of pain; how the body and mind react to it; how to minimise pain; and how to choose the right therapies, medication and relief strategies. Modern research is presented in an engaging and positive way, alongside self-assessment questionnaires, case studies and practical do's and don'ts. Through an understanding of pain mechanisms and relief strategies, readers will be enabled to manage their symptoms better and regain some control over their daily lives.